Interviewed at News To Go on the subject of cyber-bullying. Transcript of this interview is posted online. Also shared insight on a Brigada interview about cyberbullying victim Raymond Malinay Lopez. Here were some of the questions asked and my answers. 1. 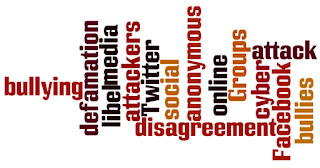 When does an online disagreement or opinion reach the point it can be called cyber-bullying? Answer: When a person gets mocked or attacked beyond topic at hand then it can be considered as cyber-bullying. Example #1: If a person starts a controversial thread in a Facebook Group and then calling out your name in the comments as one of the persons referred to, that can be considered as cyber-bullying. Ideally, if there are issues between two persons, then it should be discussed privately. Citing a person’s name in a public group, calling out for their action, has a malicious intention of dishonoring them. Group owners should not tolerate it. If a person keeps on doing it, then that person should be removed from the group to keep order, harmony, and respect. Example #2: If a person is being talked about “blind-item style” (like your name not mentioned but parties in the discussion knowingly refers to you) in a Facebook Wall attacking you as a person, it can’t be exactly referred to as cyber-bullying. I guess because of the anonymity. Some folks in the thread may be thinking of a specific person then other parties joined with another person in mind. The discussions blurs thereon. However, the good thing about it, one can confront within a limited circle if needed. Example #3: If a person critique another person’s program or actions and have substantiated with facts, posted it online, can it be considered as cyber-bullying? My answer is subjective here. If the person’s program or actions were promoted or disseminated online, posting an online reaction to it can’t be considered as cyber-bullying. If the person being criticized also positions oneself as a leader (like in the case of politicians), it can’t be prevented that their being a person will also be subject to evaluation. Some say there is no such thing as constructive criticism but there are suggested ways of doing it especially when we weave facts together to prove a point. 2. What can one do if bullied online? Answer: For personalities, public statements can help address an issue broadly. Respond to concerns respectfully. If done well, you can influence observers especially if those who attack you behave otherwise. If you are an observer and notice someone is being bullied online and going out of hand, it is best to speak up and not tolerate it. Remind parties to respect each others point of view online. 3. 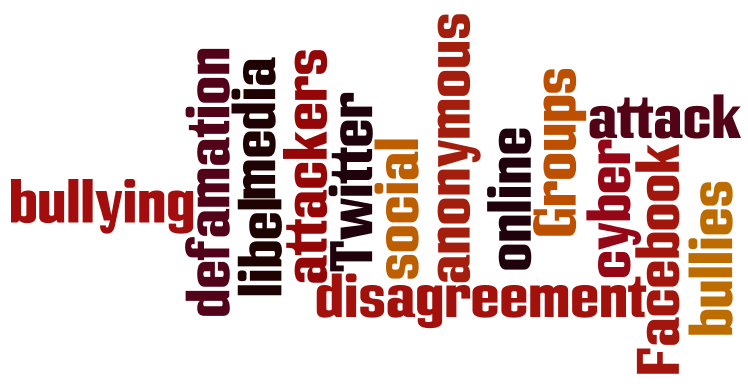 What are the characteristics of cyber bullies? Answer: Passionate in their beliefs. They can’t be generalized. Right or wrong depends which side you are on. 4. Should you bother to find out the identity of anonymous attackers? Answer: It may take a lot of resource to do that. However, communicate and clarify whatever is necessary. If you prove them wrong, people will demand their identity, ignore, or forget them in the long run. Who knows? You’ll might be surprised that someone will come forward and tell you who they are. 5. Should there be a law on cyber bullying? Answer: Needs further study as that is like amending libel law. Although some may say that existing laws (Revised Penal Code) against defamation will hold. But with cyber-bullying happening among teens as well, it will be helpful if further education can be given about it. The House of Representatives passed an Anti-Bullying legislation lately that covers cyber-bullying. However, its Senate counterpart has to be approved in order to become a law. 6. When media / bloggers write about tweet attacks to personalities, giving exposure to bashers, does it encourage cyber bullying? Answer: I think so. In principle, the more exposure and recognition is given on either side of an issue, can make them stronger.